A perfect plaid blouse for fall to go with my coveted Pour la Victoire Lisette stems...and finally, I found the perfect style on eBAY for the best price ever! This is an unused J. Crew (I am LOVING every catalog from J. Crew right now...they all have the perfect styling...and go to a store today because everything that is on sale also gets an extra 40% off! Plus, if you work for this company, you get a clothing allowance...I need to get some hours there:) plaid blouse that is too goo to be true. For the shoes...I have the maroon style which I want to wear with this top and I am getting the grey/navy shoe, which I have a billion ensembles put together already for this MUST-HAVE shoe! 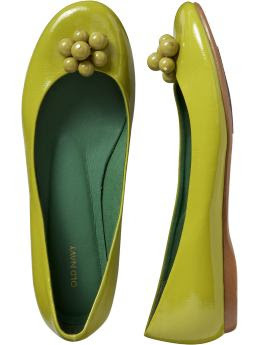 Note: The brand, Pour la Victoire is the most comfy shoe you will ever place your footsies into! I just wore a pair of my most fave shoes today that look soooooooo Chanel-esque that I am swimming in ideas of what to wear them with! 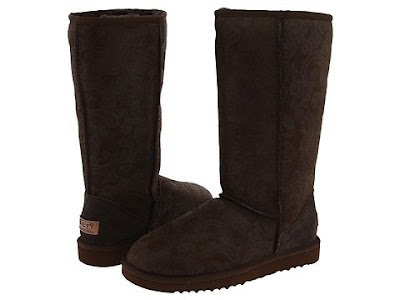 Plus, I am getting my VERY FIRST pair of UGGS this week that are worth the wait! They have a subtle paisley design that is embossed on the shoe that you can barely tell is there...so it is not gaudy by any means....I am soo in LOVE! 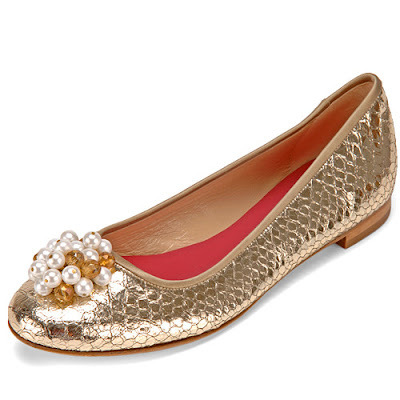 Also, Old Navy has some ballet flats so similar to a pair that I saw at Kate Spade that I did a double take! To top all of the deals off, Kate Spade stores are selling Kenneth Jay Lane pieces that were once $255 for ONLY $25! Rush in today! I am loving full, high waist skirts this fall. Pair with ankle boots, high heeled oxfords and belts with bows...how can you go wrong? And if it gets a bit cool, add some fab tights! Dior 5-Color Eyeshadow compact in Tender Chic, Nars The Multiple in Copacabana, Yves Saint Laurent Touch Blush in Number 2, Giorgio Armani Gloss in Number 16, Guerlain Le 2 Two-Brush Mascara in black and a deluxe sample of Chanel Sublimage. If you still haven't signed up, it is due time...get ready to save some money right now with Shop It To Me! The new and AMAZING new site that send you emails with sales that are happening online and in stores near you...whatever you ask for, they provide...so, sign up today! I think that the co-host, kind of like the Tim Gunn of the show, Phillip Bloch. Why did you decide to participate in the VH1 show Glam God? I WANTED TO PARTICIPATE IN GLAM GOD BECAUSE IN ADDITION TO PROVING MYSELF AS A STYLIST, IT SEEMED LIKE A FUN TIME. How was it working with Vivica Fox? MISS VIV IS THE CONSUMATE PROFESSIONAL. Had you ever worked with any of the stylists featured in the show prior to airing? 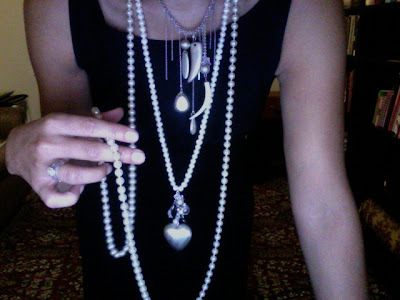 Have you ever cut up a designer piece like you did on the first episode with the Vera Wang piece? HA. I LIVE BY THE D.I.Y. CREED, SO CUTTING THINGS UP IS PART OF MY STYLE. I GUESS I SHOULD HAVE THOUGHT ABOUT IT BEFORE CUTTING THIS PARTICULAR VERA WANG DRESS. 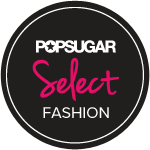 How has it been being on the Style Network and also on various programs like VH1, and where do you plan on being featured next? I LOVE TO EXPRESS MYSELF THROUGH FASHION, ART AND UNIQUE LIVING; IT JUST SO HAPPENS THAT MY MEDIUM IS TELEVISION. NEXT UP, I AM LAUNCHING AN ACCESSSORY COLLECTION, PUBLIGHING A STYLE BOOK IN 2009 AND HOPEFULLY BOOKING MORE TEEVEE GIGS. What are your tips for fashionistas this fall as far as trends and deals go? IT’S ALL DRIPPING WITH DARK COLORS: RICH PLUMS, GRAY AND BLACK. GET YOURSELF A VAMP NAILPOLISH AND BURBERRY SLIPONS. Where can we expect to see you next? I'M LOOKING FOR NEW FRIENDS AT: http://www.famousvh1friends.com/personality/7 4744/jess-zaino. Another scene is on your t.v....right now, there are a vast selection of fabulous fashion television shows to view...it seems like every day during the week you can catch something fashion related to watch or Tivo...here are a few of my faves...also, if you want to read reviews...check out one of my fave blogs, Style Television. Gossip Girl...do I really need to say more? Rachel Zoe's preview has rerun over and over on Bravo...check it out...it looks like it will be a fun season. American's Next Top Model seems to be on another level, literally...they have taken it to some other place outside of this universe and I am trying to catch why anyone would add so many costumes---literally...but, we shall see...I already have my favorites...we shall see who sticks with it this season. How to Look Good Naked, keeps going and is putting a spin on looking beautiful with fashion...I love this show! But, there are grand happenings that are making it much easier for people like moi to experience all of the fashion happenings on a variety of levels. A. First and foremost, one of my fave bloggers, The Most Knowledgeable Fashion Blogger I know, Sarah Conley from Style It Online sharing all of her experiences through her blog at New York Fashion Week. B. All iPhone holders---I am now one:) Can access fashion week and fab fashion blogs during the week of every fab fashion week via your iPhone. I was soo excited when I read about this in the NYT two weeks ago! Makes me proud to be an iPhone holder:) They think of everything. "Designer Collections Packed Into An iPhone." Jess Zaino Rocks! She is down for everything and I LOVE that! She is so on it!